Religious holiday is one of the most important aspects of human lives. Hanukkah is one of them. 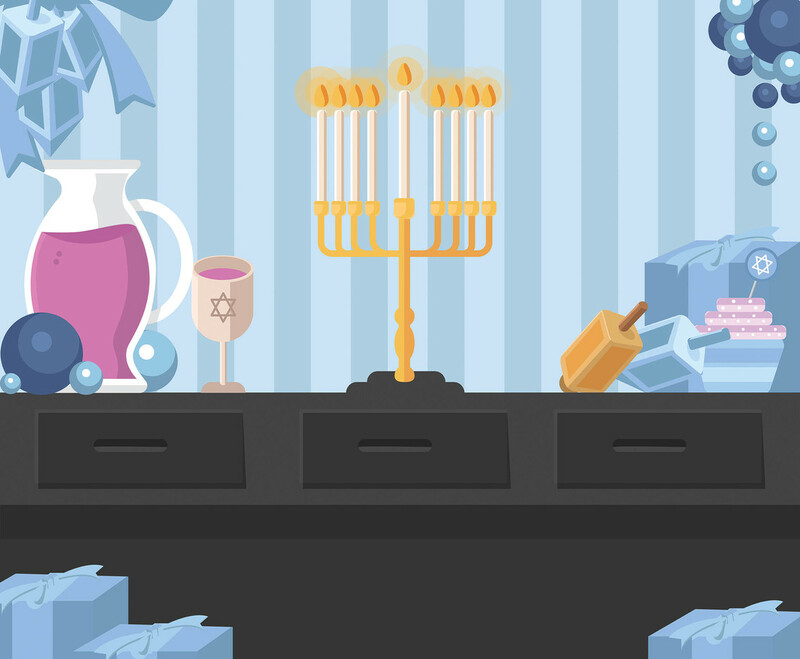 Here is the design of the nine-branched menorah as the center object surrounded by other Hanukkah items. I hope it's useful for your project.